Trump’s old reality-TV buddy is hard at work in the West Wing—but her Democratic past is hanging around her neck like garlic with many black Republicans. When the unnerving sight of Kellyanne Conway digging her bent knees and shoe heels into the fabric of one of the yellow sofas inside the Oval Office disturbed the fabric of the internet, the images sidelined what was supposed to be the White House’s big relaunch of its pitch to black America: a meeting with leaders of some of the nation’s historically black colleges and universities in advance of the White House issuing the annual executive order on HBCUs with promised updates. The order and the confab were orchestrated by Omarosa Manigault, the onetime Apprentice star and chief Black Trump consigliore. Omarosa is seen by many as the force behind Trump’s arguably clumsy attempts to reach across the racial aisle. There was the flurry of Trump Tower meetings with Very Famous Black People (Kanye, MLK III, Jim Brown, BET founder Bob Johnson, and Steve Harvey, come on down! )—though some in the D.C. rumor mill doubt she could have pulled off the Kanye meet. Then there was the Black History Month kick-off in the Roosevelt Room, where we were treated to The Donald’s delighted discovery of Frederick Douglass and where blinged-out Cleveland pastor Darrell Scott publicly negotiated between the “top gang thugs” and the White House. And who can forget Trump’s awkward visit to the Smithsonian’s new African American History and Culture museum, where he once again used his public remarks to boast about his diminutive Electoral College victory and, when confronted with artifacts of American slavery, apparently remarked “boy, that’s not good”? The onetime Clinton White House staffer and former reality-show supervillain returned to politics with the man who became her TV mentor. She has an office in the West Wing as a communications staffer in the Office of Public Engagement, along with ample rented space in the psyches of Washington’s best-known black Republicans, many of whom view her as a Democratic interloper wielding inordinate access at a time when Republicans enjoy rare power. “I would applaud a Republican president appointing a black Democrat to what he’s appointed her to, in order to help the White House reach across the aisle. He’s just got the wrong black Democrat” said a black elder statesman who spent decades active in GOP politics, and who was one of several prominent black Republicans who spoke on condition of anonymity so they could speak freely. Few were willing to go on record, given how small the black Republican community is, and given the threat of retaliation by the White House. The black Republicans who spoke to The Daily Beast made no attempt to hide their disdain for Omarosa, whose ascent has confounded political insiders who still see her as a product of crass reality TV—not unlike the way many of them view her boss. Omarosa is like Trump in the way she relates to the world: as a collection of people for and against her. She finished eighth in Season 1 of The Apprentice, but was such a hit, E! News dubbed her reality TV’s number one “bad girl” in 2004. She returned as a member of the Celebrity Apprentice cast in 2008, after landing several other reality TV appearances. But she never quite put politics aside, shunning her former employers the Clintons to endorse Barack Obama in 2008 and stumping for the Affordable Care Act online. Omarosa also declined to comment for this article. But sources close to her say the attack on her party affiliation is basically an attack on the first family; since Trump’s own children didn’t change their party registrations to Republican in time to vote for him in the New York primary. The real source of consternation among her detractors is what they view as her role as gatekeeper; slamming the White House doors on them. Many black GOPers opposed Trump during the Republican primaries, and some continued to do so right through Election Day. But they say that while some white “never Trumpers” and Trump critics have been forgiven, and some have even been rewarded—Kellyanne Conway, used to slam Trump on TV on a regular basis when she was a Ted Cruz supporter, and is now counselor to the president—most black Republicans with policy and political histories dating back to the first Bush administration have been cut out. And they laid the blame at Omarosa’s designer shoe-clad feet. Indeed, Omarosa did tell PBS’ Frontline that Trump ran for president as revenge for the humiliation heaped on him by President Barack Obama at the 2011 White House Correspondents Dinner, and added that everyone who has ever humiliated Trump would be made to “bow down” once he won the White House. But that doesn’t mean black Republicans aren’t projecting their anger at the White House onto her. However Singleton, also 26, says he’s an Omarosa supporter, and defended her against attacks by his fellow partisans. “I actually like her a lot and speak with her pretty regularly,” said Singleton, who says he met Omarosa during the Republican National Convention in the makeshift Fox News green room where he was accompanying Dr. Ben Carson for an interview (he does some work with the media company owned by longtime Carson media handler Armstrong Williams.) Singleton says that when he was at HUD, he spoke with Omarosa frequently, and found her to be a good source of information and feedback on the White House perspective on policy. “I don’t know why these people have issues with Omarosa,” he said of fellow black Republicans. “But my personal relationship with her is a good relationship and I think Omarosa is a good person” who, he believes, is trying to do good things for the black community from her White House perch. He even said he’d welcome the chance to broker a meeting between Omarosa and his black GOP friends. He may have a tough time getting takers among these black Republicans, who view Manigault as surrounding the president with black conservatives who are more interested in boosting their cable TV brands than in building the party or helping black communities. “Some of it is personality,” said author and historian Leah Wright Rigueur, a professor at Harvard University’s Kennedy School who has written extensively on the history of black Republicans. “But I also think what we’re seeing is the black people outside the immediate circle dealing with an issue that is really longstanding, dating back 50 years or more: This squabble between black Republicans and the party over who are organically Republicans and who are not. Manigault’s defenders say the anger of black GOPers is misplaced, since she isn’t in charge of hiring or firing. They say the real source of black Republican anger is a long-simmering feud black Republicans are having with the White House chief of staff, Reince Priebus, formerly the chairman of the Republican National Committee, succeeding the party’s first black chairman, Michael Steele. Relations with the party soured soon after, with many black Republicans accusing Priebus of scuttling Steele’s efforts to push the party to do more robust black outreach. Last spring, the RNC faced a mass resignation of black staffers that led to the hiring of a group of young black GOP operatives dubbed the “Suicide Squad” by some black Republicans. Others add that Omarosa may be the best of the slim options Trump has to try and reach black Americans, given his own racial history and the party’s lack of spokespeople with broad credibility in the African-American community. Even Carson, once a respected figure in black households, has become a pariah in much of the community since launching his political career by attacking President Obama at a National Prayer Breakfast. And Omarosa, the consultant says, is “out in the black community.” She’s visible in a way that few black GOPers besides Steele happen to be. It didn’t help that many prominent black Republicans were turned off by Trump and refused to back him either in the primary or in the general election. Now, some of those Republicans are having trouble finding their way back into the fold, particularly with the White House reeling from leaks and demanding absolute loyalty from new hires. Indeed, stories of Omarosa wreaking havoc in the West Wing, commandeering a plum office where no public liaison spokesperson has had one, telling people she wants to be Trump’s Valerie Jarrett and reportedly even pushing Priebus around (with Priebus allegedly being told by Trump to “leave her alone”) are all over Washington, though some view the legend as overblown. Omarosa, like Trump, brings high drama with her to the White House. She made headlines with a public spat with her former friend, White House correspondent for American Urban Radio Networks April Ryan, who told The Washington Post that Omarosa physically menaced her and threatened her with an “enemies list” of black journalists the White House doesn’t like after Ryan complained that Omarosa was meddling in press secretary Sean Spicer’s decisions whether to call on Ryan in the daily press briefing. Omarosa has denied Ryan’s claims, but it’s clear from conversations with a source close to the situation that the two are no longer friends. Ryan, for instance, is no longer participating in Omarosa’s upcoming wedding. (She was even rumored to be angling for a spot on the reality series Say Yes to the Dress, even taping a dress shopping trip with her remaining bridesmaids a day after being sped away from the White House in a government vehicle for an ankle injury.) The women’s friendship dates back to Omarosa’s Clinton White House job in 1997, when Ryan had just begun covering the White House. It has become, the source said, a tragic casualty of the ugly politics of 2016. 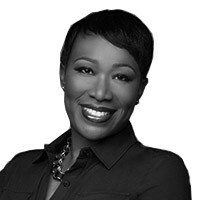 Ryan has told friends that the falling out came because Manigault accused her in emails of conspiring with the Clinton campaign (a claim Ryan vehemently denies), which Ryan viewed as a below-the-belt attack on her journalistic credibility. Manigault reportedly made the claim after emails between Ryan and members of the campaign popped up in the John Podesta emails leaked by the pro-Russia outfit WikiLeaks. The spat between the two women seems to have struck a nerve with the group of black Republican Omarosa critics, who consider Ryan a straight shooter. Their ire was further stoked when Trump, during a recent press conference, pointedly asked if Ryan wanted to set up a meeting between him and the Congressional Black Caucus in response to her question about including them in his planning on urban policy.